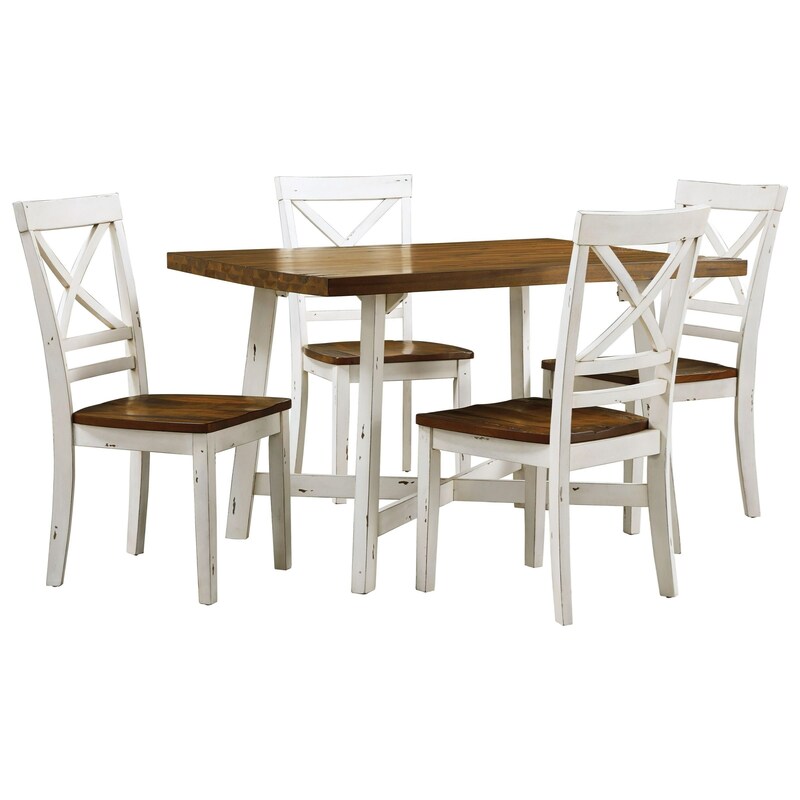 This versatile dining room table set is perfect for a breakfast nook or casual dining room area. Both the table and the chairs have lovely two-tone finishes, with the distressed white perfectly pairing with the warm chestnut. The chairs have an X-backrest design complementing the X stretcher base supporting the table. The Amelia Two-Tone Table and Chair Set by Standard Furniture at Miskelly Furniture in the Jackson, Pearl, Madison, Ridgeland, Flowood Mississippi area. Product availability may vary. Contact us for the most current availability on this product.